Starting an airline business is your ticket to owning a good, stable business if you have the creativity and tenacity necessary to be a successful entrepreneur. We offer nuts-and-bolts information that demystifies what it takes to be successful. Ready to soar to new entrepreneurial heights? We've collected several good bits of advice on how to go about starting an airline. Most airline startup entrepreneurs expect people to respond to their plans with a certain amount of skepticism -- and there is plenty of evidence to support the fact that their skepticism is well founded. While major airlines are capable of eking out a profit, smaller startup airlines find it exceptionally difficult to break into this $170 billion per year industry. High startup costs combined with a lack of brand recognition, competition for airport space and other factors are significant barriers that need to be addressed during the planning stage. Yet despite the challenges, it's possible to beat the odds and become the next great airline success story -- but you'll need to be at the top of your entrepreneurial game to do it. Emerging airline entrepreneurs undoubtedly face a long, uphill journey. The business decisions you make now (during the startup phase) will have repercussions throughout the life of your company, so it's important to understand your options and make decisions that will position your startup for long-term success. Startup airlines come in many forms. While major carriers focus on domestic and international flights, startup entrepreneurs sometimes achieve better results by focusing on regional or charter flights. Carefully research each business model before settling on the one that's right for your startup. Where will "home base" be? Startup airlines require a "home base" -- usually a local airport that can accommodate their flight traffic and hangar space requirements. Contact the governing board of your local airport to discuss land lease opportunities before you invest in aircraft and other capital assets. What are the type and number of aircraft my airline requires? Before you approach investors, you'll need to create a detailed plan describing the type and number of aircraft your business needs to operate. Your aircraft plan will largely be determined by the type of airline you are launching as well as the amount of space that is available at your home base. Rather than buying aircraft upfront, you will probably want to lease your fleet -- at least until your airline gets on its feet. Still, it doesn't hurt to include cost estimates for both purchasing and leasing your fleet in your business plan. Business plans play a central role in the strategic formation of a startup airline business. A solid business plan should include verifiable industry data. If your business plan is based on unrealistic assumptions and best case scenarios, you will have done your airline business a major disservice. Instead, commit to creating the most precise business plan possible. As a further guide, consider what the experts say about business plan writing. Long before you open an airline business in your town, it's worthwhile to find out what the competition looks like. Try our link below to generate a list of competitors nearby. Complete the form by entering your city, state and zip code to get a list of airline businesses that are close by. How are you going to successfully complete with existing firms? It's important that you never underestimate the competition. If you want to open an airline business you really ought to have a conversation with someone who is in the business. Local competitors are not going to give you the time of day, mind you. The last thing they want to do is help you to be a better competitor. On the other hand, an individual who has an airline business on the other side of the country may be willing to share their entrepreneurial wisdom with you, given that you don't compete with them in their area. In that case, the business owner may be more than happy to discuss the industry with you. Our estimate is that you may have to contact many business owners to find one who is willing to share his wisdom with you. Where do you find an airline business entrepreneur that lives outside of your area? Simple. Let your fingers do the walking by using the link below. There are a lot of reasons why it may be preferable to acquire an airline business instead of starting a new business venture. An acquisition isn't necessarily a bed of roses. You'll need to thoroughly evaluate the factors involved with buying a business. Right away, you'll want to make sure the business is capable of meeting your ownership expectations. 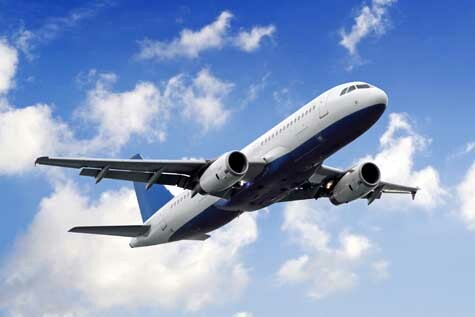 Once you have determined that the airline business is an appropriate match for your goals, you will need to skillfully negotiate on price and perform a thorough due diligence process before you finalize the deal. If this is your first venture, you should consider purchasing a franchise. Before you get too far along in your plan to open an airline business, a smart move is to determine whether purchasing a franchise might increase your chances of success. The link below gives you access to our franchise directory so you can see if there's a franchise opportunity for you. You might even find something that points you in a completely different direction. These additional resources regarding getting started as an entrepreneur may be of interest to you. What do you have to say about starting an airline business? Your input helps this article become more useful to others. Load New Code Add me to the Gaebler.com newsletter. All comments will be reviewed and will be posted at the discretion of Gaebler.com. Are You Already an Airline Business Owner? Do You Sell to Airline Businesses? If you are still exploring all of your options, please browse our directory of guides below.